The Alfawise SD07W Outdoor Waterproof IP Camera comes in a milk white color which makes it look classy and glossy. It is a compact product with dimensions of 16.00 x 10.00 x 17.50 cm and weighs just 1.07kg. It’s made of metal to serve you as long as possible. Plus, it has an IP66 certificate for water-proof feature, so you can confidently place it outside without fear of water damaging it. The camera can operate under 10 – 50 Celsius degrees, so you don’t have to be scared of the sun damaging it. The Alfawise SD07W Outdoor Waterproof IP Camera is packed with 3pcs IR LEDs, dual filter IR-cut which supports 50m IR distance and would enable you clearly see object motions at night. at a range of up to 50 meters, a 2.8 – 12mm lens, easy operation for zoom in/out(Pan: 355 degrees, Tilt: 120 degrees, thus it can see almost everything), and storage with max 128G TF card. It’s 2.8 – 12mm lens supports intelligent zooming 5 times optical zoom allows you to zoom in watching camera images in closer distance The camera supports Motion detection and it pushes notifications to your smartphone when detecting moving objects. Never worry about missing something important. 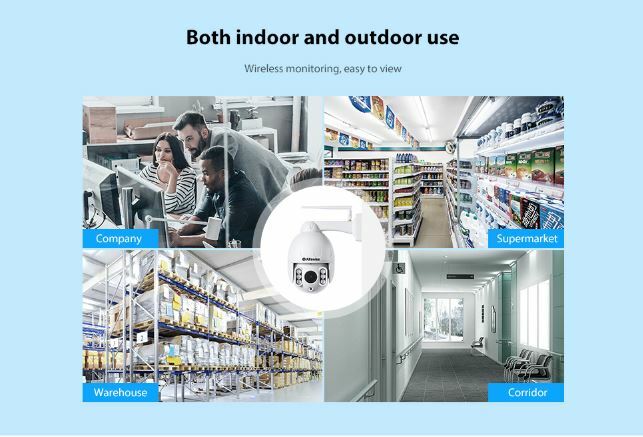 The Alfawise SD07W Outdoor Waterproof IP Camera support two-way audio that is, you can be talking with someone and the same time monitoring. 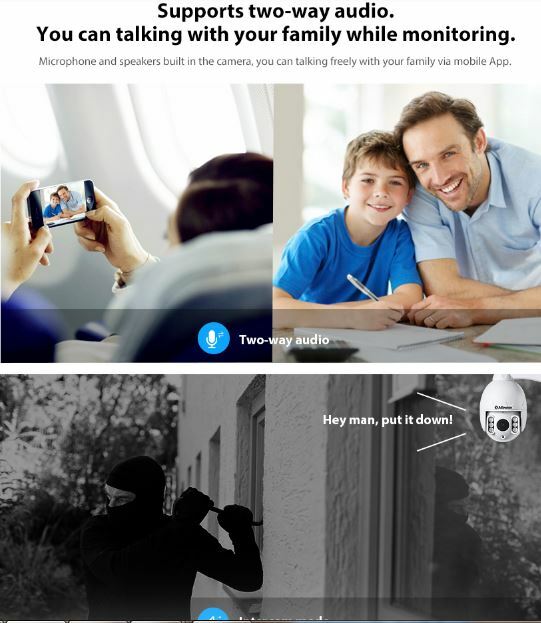 A microphone and speaker is built in the device, you can be talking freely with the family via a mobile app. 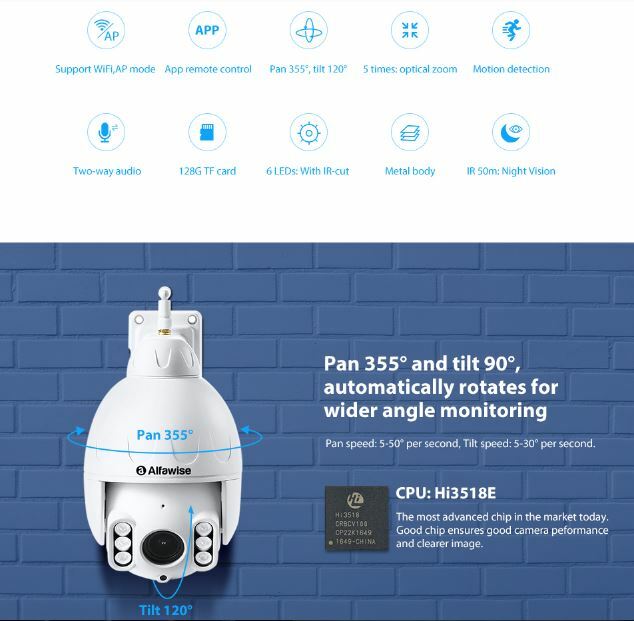 It also supports multiple device monitoring at same time, And lastly, the device features a 1080P HD camera, 1/2.7 inch CMOS sensor, H.264 image compression format. 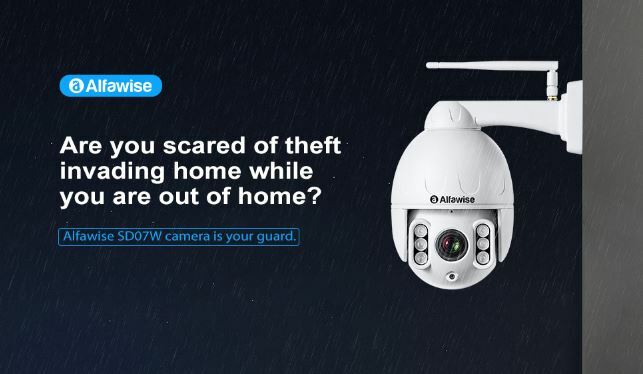 The Alfawise SD07W Outdoor Waterproof IP Camera is currently available on Gearbest for $93.99.